Floating Benefits Validated by the WSJ! Can Floating in a Tank of Water Help Your Mind & Body? 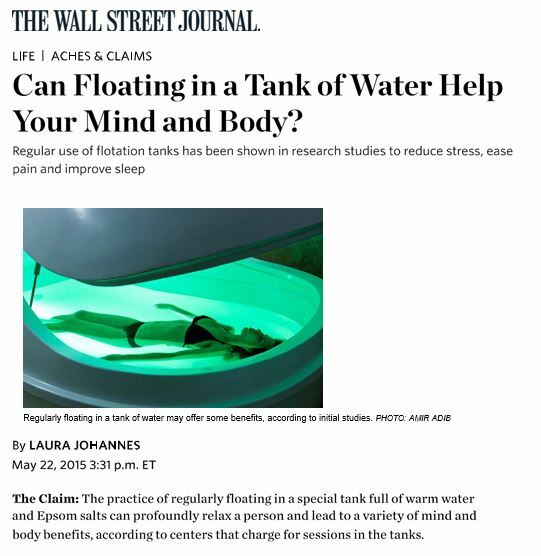 We are thrilled to share with you this recent article published by the Wall Street Journal validating the benefits of floating. The popularity of floating has outpaced scientific-studies in the last decade, but incredible new research is being conducted to confirm what we have known all along: floating has incredible non-invasive relaxation and healing properties! The article also references our innovative float pods and exclusive distribution company, Float Pod Technologies. What an exciting time to be a part of this journey! 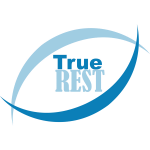 Copyright © 2015 True REST Franchising, LLC, All rights reserved.